The laboratory takes the science-based innovation to leading players in the energy market. 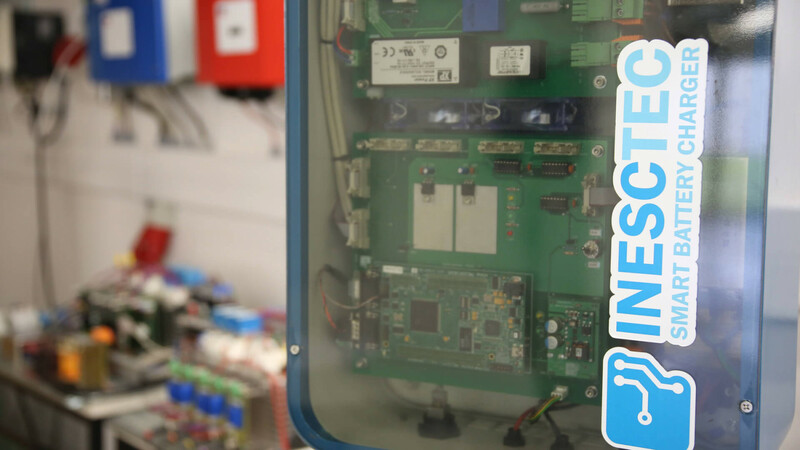 INESC TEC’s Laboratory of Smart Grids and Electric Vehicles (SGEV) makes it possible to put into practice the concepts, algorithms and scientific knowledge generated by the Power & Energy Systems cluster. This implementation ranges from elementary prototypes/proof of concept to complete demonstrators installed in the field. This facility hosts PhD students and advanced researchers and at the lab they can go through the whole processes idea development, discussion with peers, development of knowledge and prototypes, implementation and testing. This has been a reality in the past years with resident researchers and with invited foreign researchers pursuing PhD degrees. 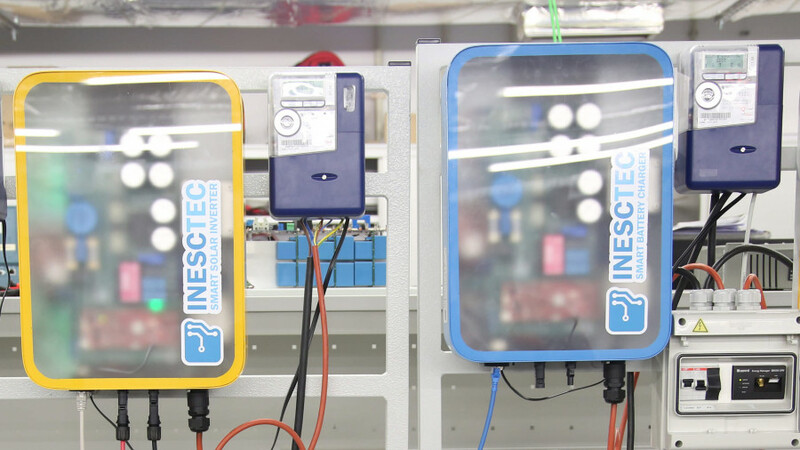 The laboratory takes the science-based innovation, INESC TEC’s main output, to leading players in the energy market. These companies work in several areas of the energy business ‑ harvesting/production, transmission, distribution, control, protection and conversion. The laboratory is also a centre for social awareness in energy-related topics, such as energy efficiency, electric mobility, smart grids or renewable energy. Very often the laboratory is visited by young students, researchers and teachers from other areas interested in getting to know the research conducted at INESC TEC. Created in December 2010 (provisional facilities), today 14 researchers from CPES are using the facility. 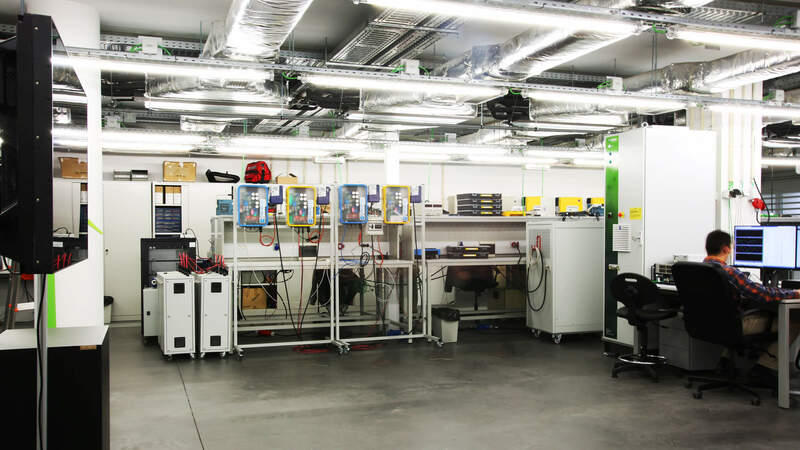 The Laboratory of Smart Grids and Electric Vehicles can offer a vertical approach, where it is possible to perform different tasks such as designing and modelling control systems, algorithms and electronics, prototyping general and power electronics and light-duty mechanics, and conduct performance and operation tests with electric equipment and integrated/system tests. PhD and MSc students, internal or external researchers, companies and other public institutions can potentially benefit from this infrastructure . The experienced staff, directly and indirectly involved in the laboratory, can provide not only the labour and technical resources but also training and advice on all the stages of research and development processes. Personnel involved in this stage are capable of analytically designing and modelling complex components and system in the fields of power systems and power electronics. At the laboratory, researchers conduct extensive experiments, for instance, computer-based simulation of these systems using several platforms such as PSSE, EUROSTAG or MATLAB/Simulink. In some cases, these simulations are directly programed in lower level platforms, taking advantage of INESC TEC’s know-how in numeric computation. In many situations where the prototypes must have a final product-like appearance, parts are designed and assembled using a 3D CAD software and appropriate workstations to perform photorealistic renders. Developing and testing electric and electronic prototypes is one of the major capabilities of this infrastructure. Together with experienced human resources, the facility is equipped with proper equipment that makes it possible to fabricate electric systems, electronic circuit boards, simple metal parts and plastic components through different processes. 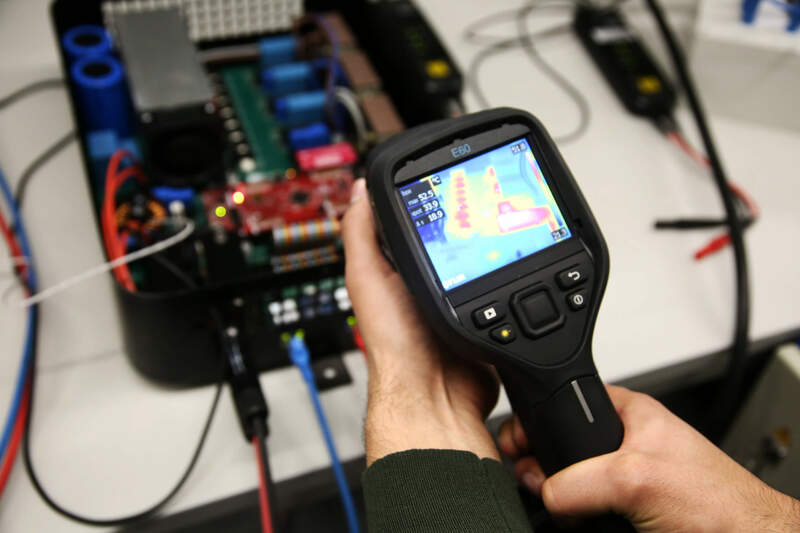 To test the parts or systems fabricated, there are a variety of supply and measurement devices such as high-precision multimeters, signal generators, power supplies, and high-bandwidth oscilloscopes. 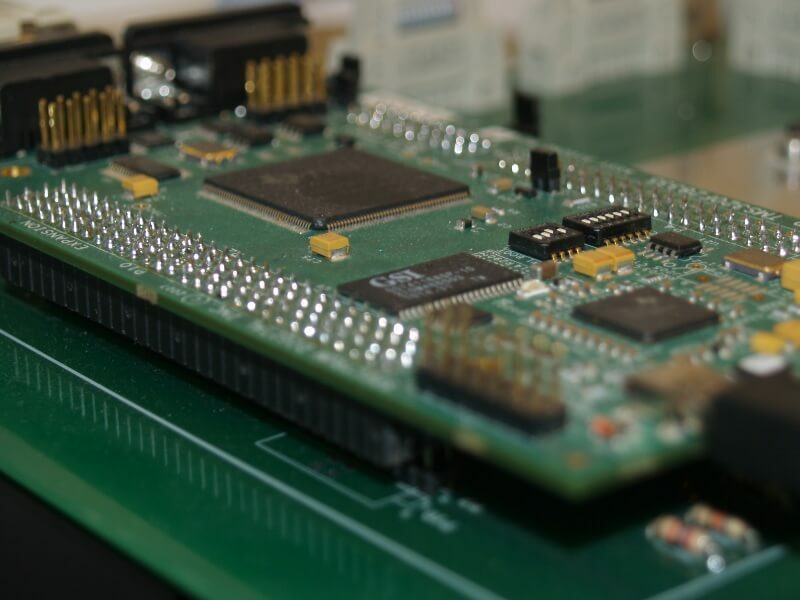 But a prototype it is not just made of hardware; there is also extensive experience in the development of algorithms. The infrastructure is prepared to perform in-depth tests in electric and electronics equipment and systems. This is typical commercial equipment for advanced/complex prototypes with non-conventional waveforms. These tests can range from internal components to external operations and performance assessment. 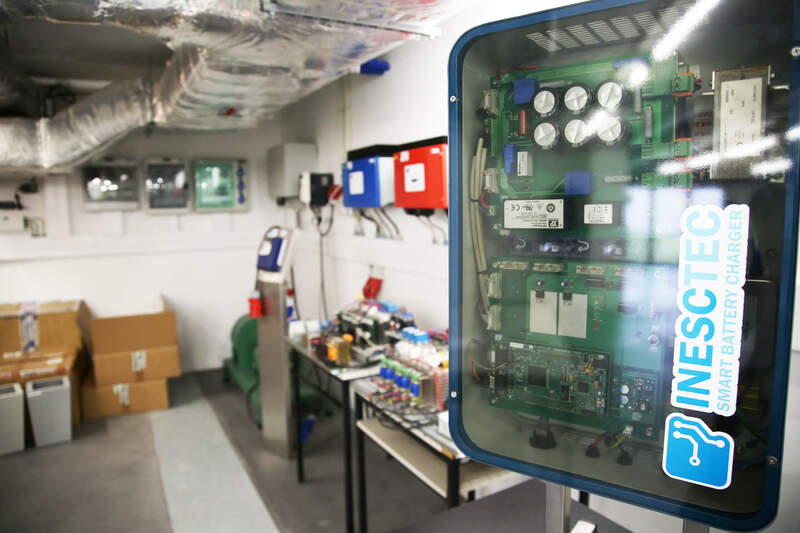 The equipment available is adequate to perform standardised power quality tests according to the IEC 61000-3-2 and EN 50160, as well as other measurements such as efficiency, power consumption in standby and operation modes, energy, frequency spectrum, ripple, etc. It is also possible to conduct thermal analyses at room temperature using thermal imaging or spot measurement with IR or conduction modes. 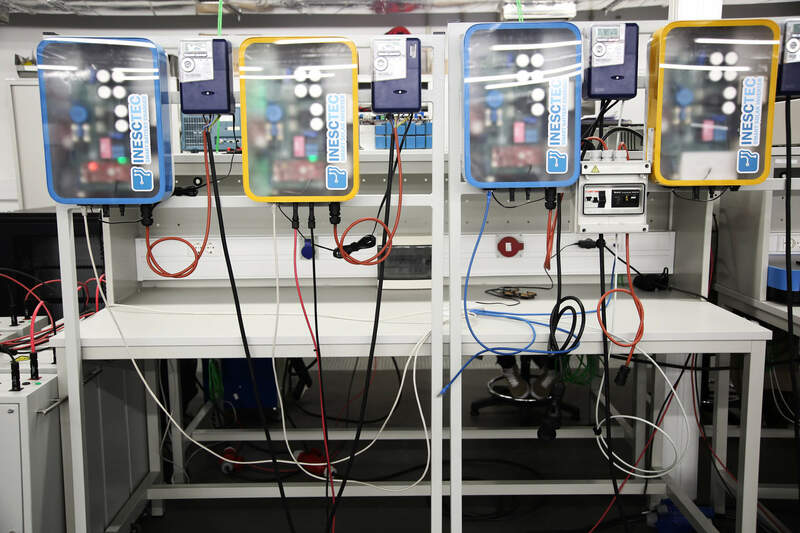 The platform which allows these testing mechanisms is a reconfigurable low voltage (LV) network with two microgrids, each with three separate nodes. These nodes can be interconnected through LV cable simulators or shorted. The buses are accessible by 30 ports each one equipped with protection and measurement equipment, which can be plugged to prototypes, PV and wind turbine inverters, frequency converters, electrical machines, storage units, etc. In the recent past, the laboratory started working with the concept of power hardware-in-the-loop (PHIL), which allows new possibilities in terms of the accuracy, performance and flexibility that can be offered in the experiments. 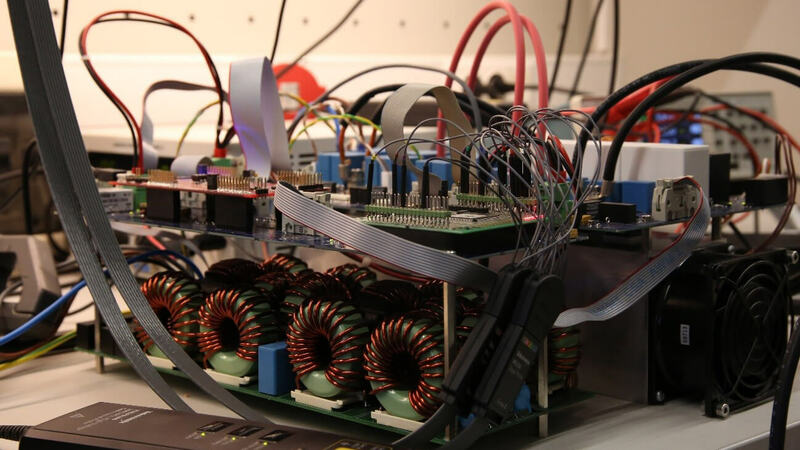 Previously, this kind of experimentation was implemented with an industrial computer that simulates the power network models in real-time and a bidirectional three-phase back-to-back (B2B) inverter, designed to work as an interface between real-time simulation and real electric devices. This platform is seen as a key element to the infrastructure’s future and the resources are now upgraded with a high-performance real-time simulator (OPAL-RT). 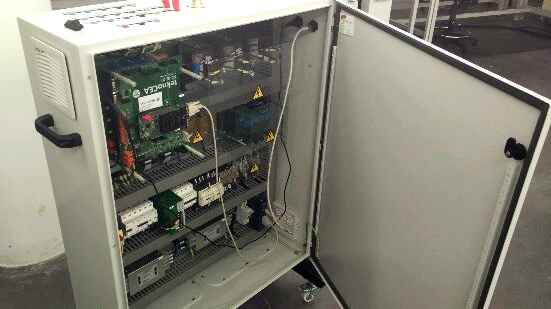 In the near future, the power of the interface will be increased from 15 to 105 kVA, using a 15 kVA and a 90 kVA power converter, to expand the testing capabilities. Focused on pursuing an even more realistic environment for developing and testing the technologies created by the researchers, INESC TEC intends to go one step further in smart infrastructures, smart appliances and building automation. An intuitive platform with the same characteristics of a typical house will allow an unprecedented validation of prototypes and proof of concepts. Moreover, this will act as an awareness and interpretative site for any kind of visitors in various themes such as sustainability, renewable energy, smart living or energy efficiency. The platform will be equipped with proper insulation, installation of PV and storage systems designed and built by INESC TEC, typical furniture and smart appliances (or conventional appliances adapted to the purpose), reconfigurable installation layout and adequate instrumentation and control mechanisms to support the experimental activities. 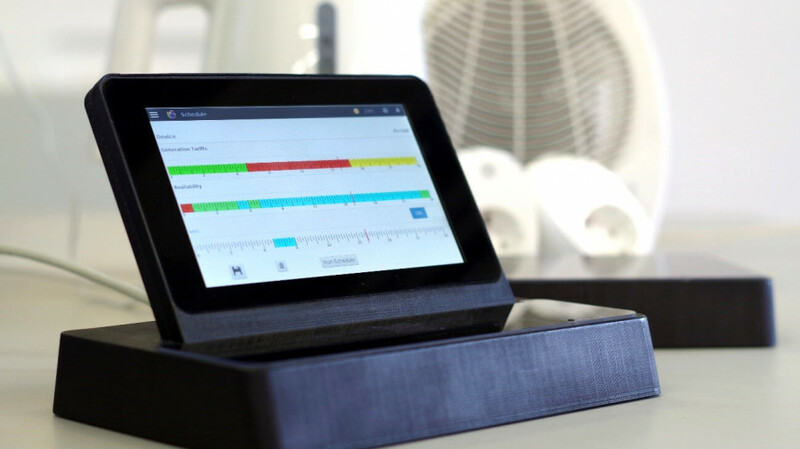 A range of prototypes were developed during the REIVE project, two of them for renewable energy harvesting and one for electric vehicle battery charging. Three-phase converters and line simulators were developed as part of this project to implement a scaled-down version of a multi terminal HVDC grid. These prototypes were developed to implement a bidirectional AC to DC conversion with a power rating of 10 kW. The hardware is implemented with a flexible layout, which is intended to be configured to novel applications. Project ANYPLACE focuses on smart metering and home automation topics. Different communication/automation gateways and sensing interfaces are being developed for this ongoing project. 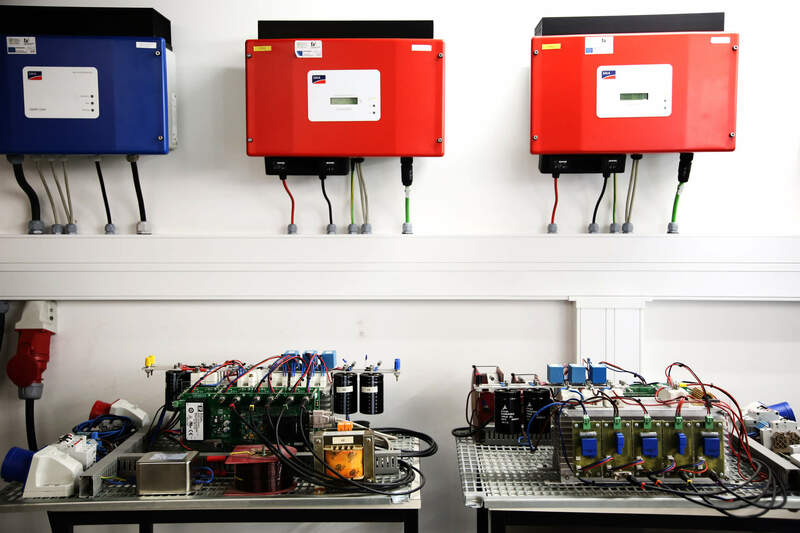 The prototypes SBC ‑ Smart Battery Charger (version 3)and SSI ‑ Smart Solar Inverter (version 2, based on SISE)are equipped with a local and remote voltage control system, as well as communication with smart meters compliant with the Inovgrid architecture. Need additional information about the	Laboratory of Smart Grids and Electric Vehicles?